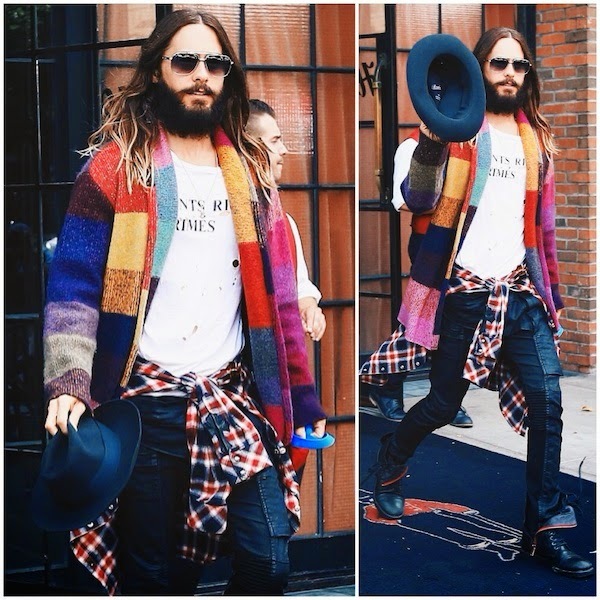 Jared and his amazing technicolor dream coat! 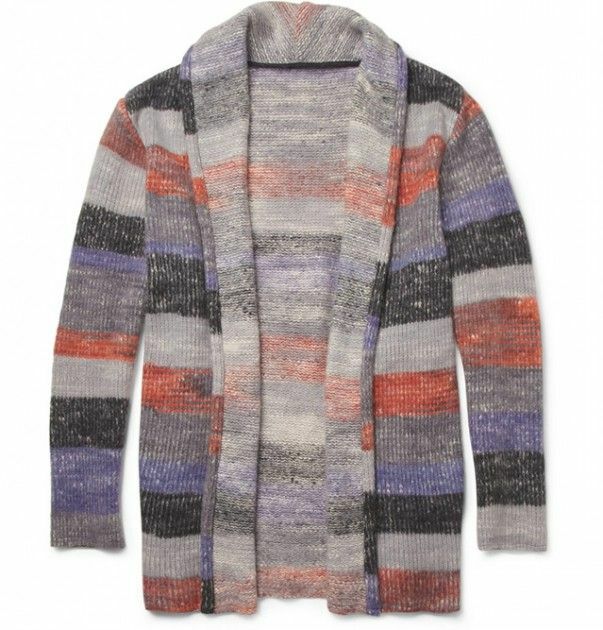 Jared Leto was pictured on 15th August 2014 in New York City, in a multicolour cashmere cardigan wrap which I believe was from The Elder Statesman. He wore the cardigan over his white ENFANTS RICHES DÉPRIMÉS t-shirt. It is a very bold piece, and who better to wear that than Mr Leto? I thought the wraparound shirt and felt hat worked very nicely towards the whole look. Not overly crazy over his choice of sunglasses, but I love the summer vibrance. It is a happy picture and you can't help but smile when you see it. We need more of such times.